We’ve long suspected that Google’s upcoming operating system, Fuchsia, would join the ranks of Chrome OS (and Android) in its support for Android apps. 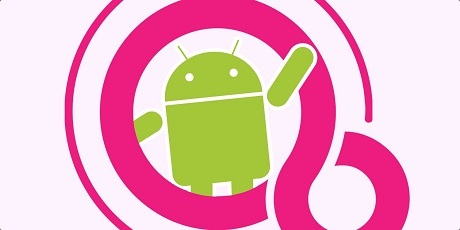 Today, that suspicion has been confirmed by a new change found in the Android Open Source Project, and we can say with confidence that Fuchsia will be capable of running Android apps using the Android Runtime. Last month, we discovered two new Fuchsia-related repositories that were added to the Android Open Source Project (AOSP) manifest. The first, “platform/prebuilts/fuchsia_sdk”, contains a pre-built copy of the Fuchsia SDK, used to create Fuchsia applications. The second, “device/google/fuchsia”, at the time, seemed like a device that could be used by the Android Emulator to run Fuchsia. In a new change posted to Android’s Gerrit source code management, Google has filled in the blank to explain what the “device/google/fuchsia” repository is intended for. The included README file lays it out as plain as day. To make it simple, Fuchsia will use a specially designed version of the Android Runtime (“ART” above) to run Android applications. This version of ART will be installable on any Fuchsia device using a .far file, Fuchsia’s equivalent of Android’s APK. How exactly Fuchsia will use the Android Runtime from there is still unclear. This includes whether the Android Runtime is able to work as expected to replace Linux kernel calls with equivalents from Fuchsia’s Zircon kernel or if ART will run inside of a Linux virtual machine using Machina, Fuchsia’s virtual machine system. Regardless, what is clear is that Fuchsia devices are intended to run Android applications. This should surprise no one, as Android is the world’s most popular operating system, and offering support for the vast wealth of Android apps in the Play Store will make the transition from Android to Fuchsia easier for users. It’s still too early to speculate when we might expect to see Fuchsia devices in the wild, but at the rate that we’ve been seeing big news in the Fuchsia world lately, I wouldn’t be surprised if Google officially acknowledged Fuchsia sometime this year.